Wack-A-Mole Double - Jumpin Jiminy - Make Your Events Awesome. 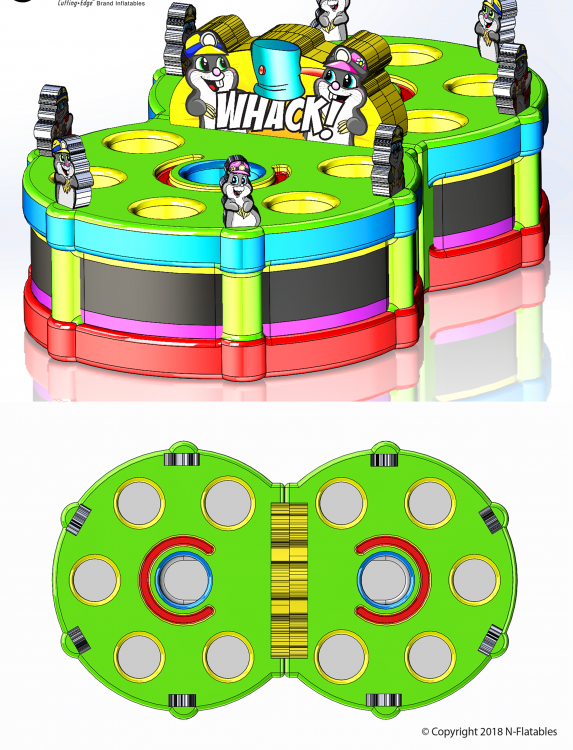 With two of our Wack-A-Mole games combined into one amazing unit, the fun DOUBLES! Now TWO players are competing to bonk the heads of the TEN people posing as "moles" for the game. This game engages TWELVE players at one time! This is ideal for your post-prom or post-grad event! Your company picnic will never be the same once you play this game! Church parties? This will be the favorite of everyone!